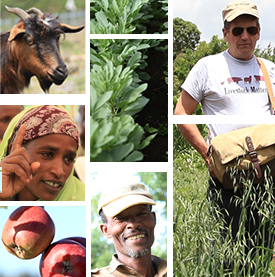 During the first phase of the program (2011–2016), Africa RISING focused on building partnerships, identifying core challenges faced by smallholder crop-livestock farmers, validating technologies and innovations that would work for them. ‘In phase I, Africa RISING has provided opportunities for validation of existing crop and livestock technologies which have greatly enriched our knowledge of the productivity, economic and sociocultural benefits of some of the technologies. The database developed on different on-station and on-farm crop, soil and animal research trials and surveys, is another major contribution of Africa RISING to farming systems research. Augustine Ayantunde from ILRI (photo credit: IITA/Jonathan Odhong’). Augustine Ayantunde (senior livestock scientist and East Africa regional representative, International Livestock Research Institute). 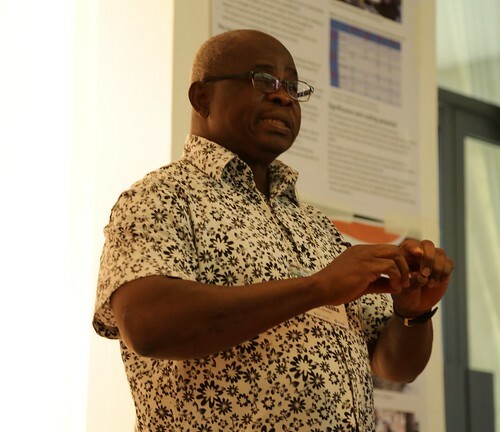 In this blog post, some of the key Africa RISING partners share their views on the value of a farming systems research approach and Africa RISING’s contribution in this regard. Mahama Saaka from the University of Development Studies, Ghana (photo credit: IITA/Jonathan Odhong’). ‘The value of farming systems research is that it ensures that improved technologies offered to farmers are environmentally, economically and socially viable whilst at the same time helping them to address the productivity challenge. For this to materialize, researchers from a variety of fields need to collaborate in designing and carrying out the research. Africa RISING was able to do this, challenging as it was. 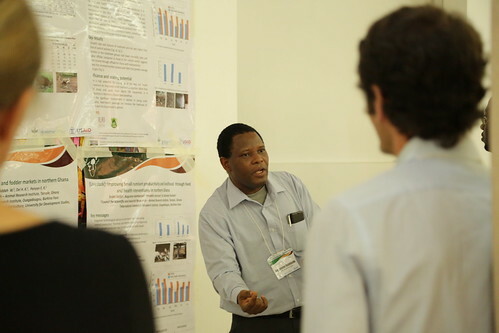 Scientists in the program have collectively carried out studies that focused on key aspects of sustainable intensification including: economic growth (linking farmers to markets), conservation of natural resources (soil fertility, biodiversity, limited carbon-dioxide production, etc. ), social inclusion and equity (‘pro-poor development’), and that of food and nutrition security. 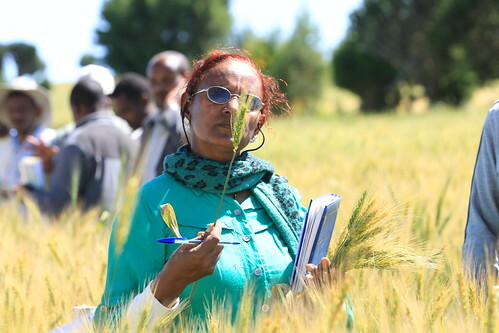 Expert from Kaliti wheat flour factory collecting sample of wheat varieties at a Sinana farmers field day which brought together partners (photo credit: ILRI / Apollo Habtamu). 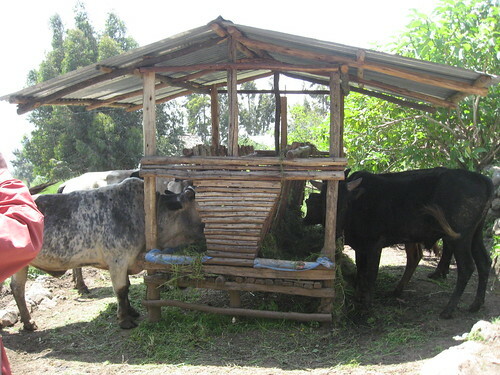 A farmer feeding mixtures of foliage of leguminous fodder trees, oat-vetch and local feed resources to cattle using feed trough introduced by Africa RISING (photo credit: ILRI / Kindu Mekonnen). Tags: systems research, USAID. Bookmark the permalink.